Burn fat and tone your muscles like never before with the Bionic Body soft kettle Bells. Constructed of soft material to prevent damages and injuries caused by dropping, this Kettlebell offers a safe yet effective home gym strength training workout. 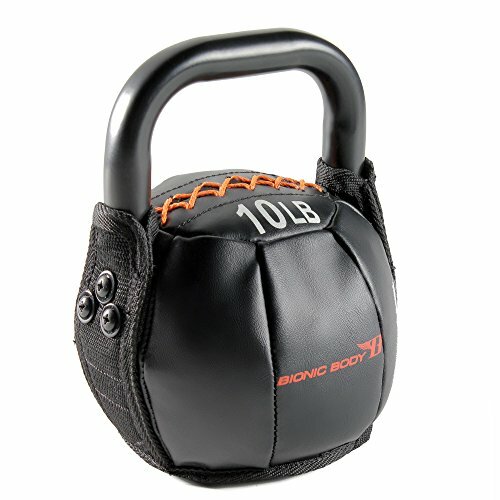 A large durable handle designed for maximum comfort keeps the weight in place as you train and the kettlebell's offset center of gravity ensures an unique and versatile workout experience. Kettle Bells come in 10lb, 15lb, 20lb, 25lb and 30lb varieties so you can easily customize your free weight workouts to fit your needs. If you have any questions about this product by Bionic Body, contact us by completing and submitting the form below. If you are looking for a specif part number, please include it with your message.